Astronomers have recently made an astonishing discovery in outer space: Exoplanet Proxima b, —where humankind can potentially thrive. 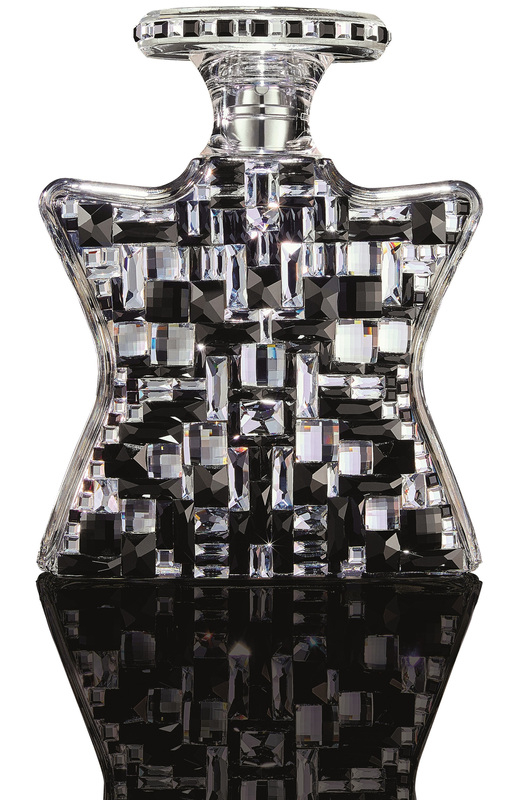 For Holidays 2016, we present an entire star-studded galaxy of eaux de parfum rich in utterly breathtaking crystalline Swarovski tones - as close as your nearest Bond No. 9 counter. BOND NO. 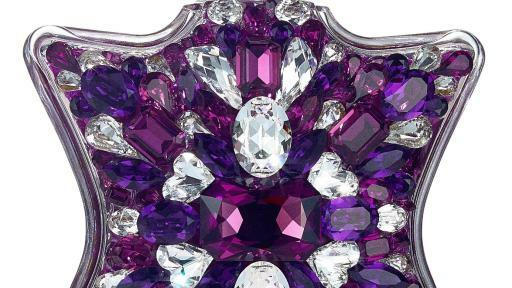 9 STAR-STUDDED SWAROVSKI GALACTIC COFFRET: an outrageously sumptuous triple-tier bijoux keepsake box, covered with 4,000 hand-applied Swarovski Fancy Stones of vivacious gem colors. They’re a mix of cabochons, hearts, aqualines, teardrops, et al. Lined in deep-space silk velvet, it contains 9 of our most sought-after eaux de parfum, each in a (refillable) 100 ml bottle decked with its own unique kaleidoscope of Swarovski crystals. 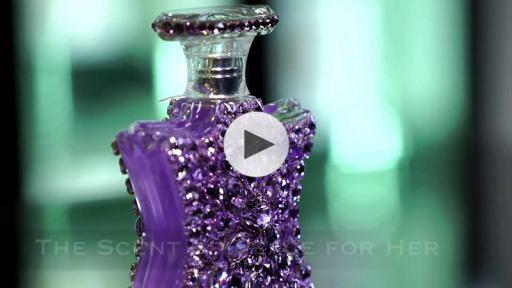 A sultry oud, accented with rose, musk, and tonka bean, its bottle enveloped in amethyst and purple crystals. A contemporary floral bursting with green apple, jasmine, and peach—sheathed in a meteorite shower of diamond-toned crystals. A smoky, skin-clinging alpha perfume infused with rosewater, cinnamon, honey, and orris—in a rich emerald green. A leather-tinged rose, plum, honey mélange—in vivid astral pink. Spirited and romantic, mixing rose, hyacinth, teakwood, and prairie grass —in Northern Lights amethyst. A space-age tuberose bouquet, surrounded by bergamot, blackberry, and champaca—in shimmery black-hole jet. 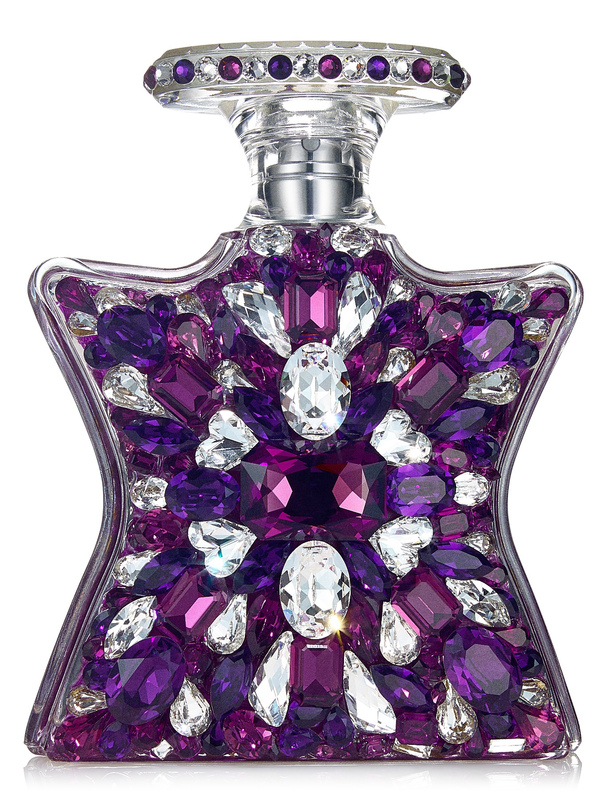 A liberated gardenia-orchid-vetiver-sandalwood blend—in bedazzling multicolor Fanci-Stones. Mingling grapefruit, blackcurrent, lily of the valley, cedarwood, and musk—in sparkling rosé. A fresh, citrusy-woody chypre mixing apple, bergamot, blackberry, jasmine, patchouli, and praline—in rainbow-refracting crystal Aurora Borealis. BOND NO. 9 SWAROVSKI GALACTIC TRIO: If you don't plan to journey that far into Bond No. 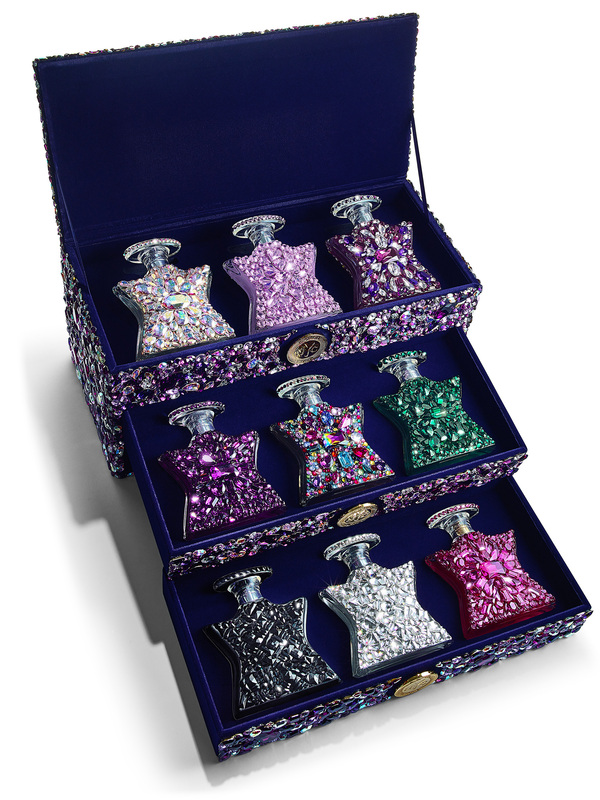 9's space odyssey, we are offering a scintillating Swarovski covered box filled with Madison Avenue, Scent of Peace for Her and Bond No. 9 Signature, each in the unique crystal design. A single stunner BOND NO. 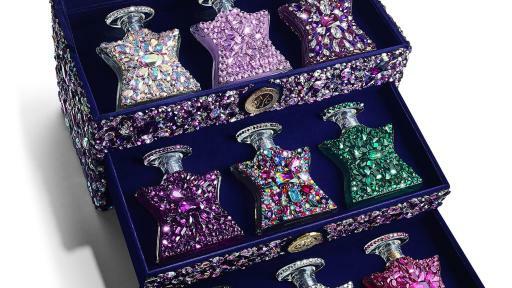 9 SIGNATURE PERFUME (100 ml) in amethyst and purple velvet crystals is packaged in a delectable velvet box with the Bond No. 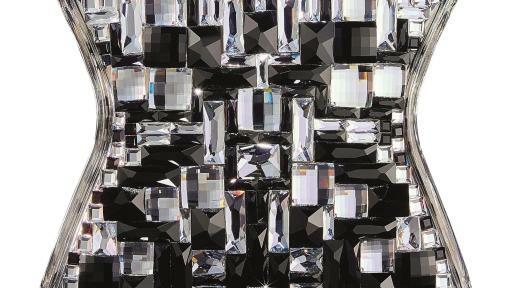 9 token logo formed by a meticulous trace-work of Swarovski crystals.